Dr. Garren is certified by the American Board of Surgery, is a fellow in the American College of Surgeons, and member of the American Society for Metabolic and Bariatric Surgery. 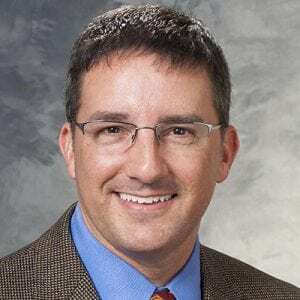 His clinical specialties include minimally invasive bariatric surgery as well as other advanced laparoscopic procedures, including colon, antireflux, and hernia surgery. Dr. Garren is medical director of the UW Health Medical and Surgical Weight Management Program. Residents' surgical performance during the laboratory years: an analysis of rule-based errors. One-year Surgical Outcomes and Costs for Medicaid Versus Non-Medicaid Patients Undergoing Laparoscopic Roux-en-Y Gastric Bypass: A Single-Center Study. Laparoscopic-assisted ERCP and EUS in patients with prior Roux-en-Y gastric bypass surgery: a dual-center case series experience. Diabetes remission and glycemic response to pre-bariatric surgery diet. The impact of previous fundoplication on laparoscopic gastric bypass outcomes: a case-control evaluation.